Developer's Interview: Our Discussion With Wee Man Studios Regarding Their Upcoming 3DS eShop Title Lifespeed! Three Cheers For The New 3DS! Developer's Interviews have become something far more common in recent times here at WiiWareWave thanks to their recent surge in sheer popularity so it should come as no surprise that we have another interview to share with you, our fantastic fans! Could you tell us a bit about your team? [WMS]: "John Owens developed the game from start to finish and is the driving force behind the whole project. He is modest about it but really its pretty amazing for a game of this complexity and polish! Seven day work weeks have been the norm for so long that its going to be really strange when he moves to a normal work schedule. We also had various contractors work with us throughout the project to do the bits he couldn't do and generate the artwork, music, and language translations." How long has Lifespeed been in development? [WMS]: "A number of years, we don't like to count! To be honest the project was probably too much for one man to take on, we made it in the end but it would have been sensible to take on something smaller. Rookie indie developer mistake which we managed to actually see through till the end. We were lucky that I have a full time job so we have just got by on one salary for the past few years." What kind of game is Lifespeed? [WMS]: Lifespeed is a futuristic flying racer. 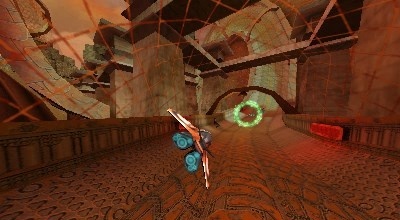 You will fly ships at mach 2 down tiny tunnels and through rings to get weapons to battle against the 9 other racers. Its a fast twitchy game with a challenging old school feel to it. What games inspired you to develop Lifespeed? [WMS]: "The original inspiration actually came from the scene in star wars return of the Jedi where the ships are flying down the tunnels of the death star. We wanted to capture that same fast frantic rush in a race. Pilot Wings on the SNES where you fly through a course of rings was a big early inspiration. Mario Kart inspired the fun racing fighting type gameplay." 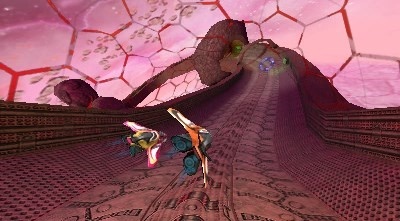 We heard that Lifespeed is a New 3DS exclusive title! Is this true? [WMS]: We will be bringing Lifespeed out on the New 3DS. What made you decide to make Lifespeed a New 3DS exclusive title? [WMS]: Simply down to performance, the New 3DS actually a much more powerful device so it allowed us to get all the features into Lifespeed that we were hoping for. Can you tell us about the unique features of the game? 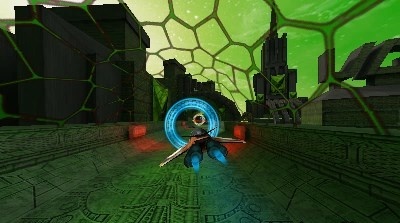 [WMS]: We think the combination of all the gameplay elements is unique; flying in 3D space, tunnels, racing, fighting the other ships, flying through rings for pickups. Haven't seen any other game with all those elements combined yet! Oh and of course you can do a barrel roll. 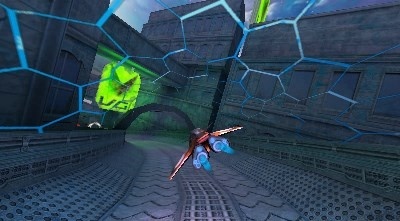 When can we expect Lifespeed to hit the 3DS eShop? [WMS]: As soon as is humanly possible. Well hopefully March, difficult for us to predict as its our first time releasing an indie title. What did you think of the interview? 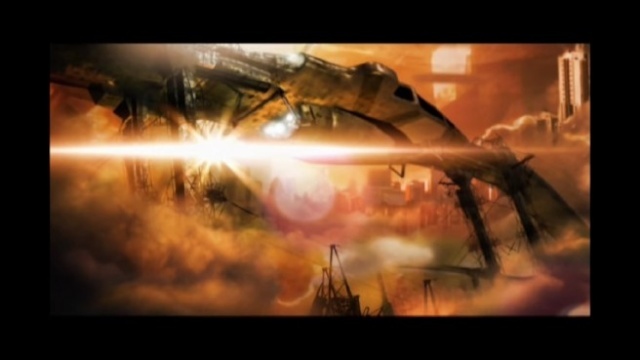 Are you looking forward to Wee Man Studios upcoming title Lifespeed? What are your thoughts about it being New 3DS exclusive? Let us know in our comments section below! Re: Developer's Interview: Our Discussion With Wee Man Studios Regarding Their Upcoming 3DS eShop Title Lifespeed! @GeekyGamerZack I know, but I do understand why the developer did this as graphics and extra horsepower are important for titles like this one. Thankfully I have a New 3DS, but this is a shame for the majority of 3DS owners who haven't upgraded their system yet lol. My New 3DS will finally get some much needed attention once this game is released. Nice interview once again boss! @Aqua Cherry Blossom wrote: Thankfully I have a New 3DS, but this is a shame for the majority of 3DS owners who haven't upgraded their system yet lol. Or don't intend to upgrade at all. I just felt it was more efficient to have a pair of 2DS consoles instead, for self-trading my Pokémon and some other reasons. Plus, I've grown used to the 2DS; it's the most comfortable Nintendo handheld I've owned in years, plus it evokes so much nostalgia for the classic Game Boy series. I don't really need the C Stick or ZL/ZR Buttons, either. I guess I'd change my mind if I actually tried the 2DS for myself, but one of my 2DS consoles was a Christmas gift from my parents, and I don't really like trading in, selling or giving away my presents unless there's a very good reason for it.